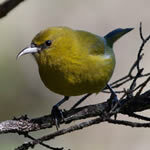 Kiwikiu (Maui Parrotbill; Pseudonestor xanthophrys) are the most critically endangered of the Hawaiian Honeycreepers on Maui. Their population may only number a few hundred. 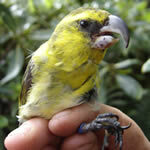 Hawai’i has suffered wider-spread extinctions than anywhere else on the planet. 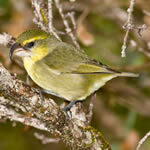 Without effective intervention, Kiwikiu could join this long list of birds that are now gone forever. 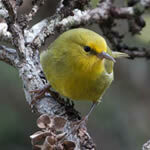 Much of Maui was once covered by native forests that are now gone. 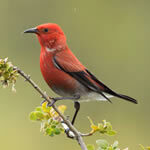 Rebuilding these areas will not only provide habitat for native Hawaiian species but will also restore these watersheds. For our work, time is crucial. 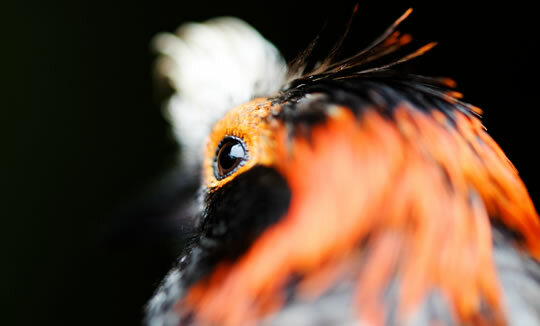 Your contributions go directly to preventing further extinctions of forest birds on Maui and to rebuilding Maui’s forests. 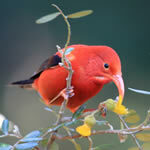 Although a small organization, we have big goals and visions for preserving Maui’s biodiversity. There are many ways in which you can contribute to our mission and work. MFBRP needs support in the form of volunteers, materials, donations, Hawaiian Airlines Miles, and tree and bird sponsorships. Check out events and fundraisers too! 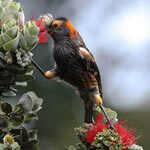 Palmeria dolei, critically endangered and found only on the Island of Maui, ‘Akohekohe use their striking white crest to help pollinate native plants. 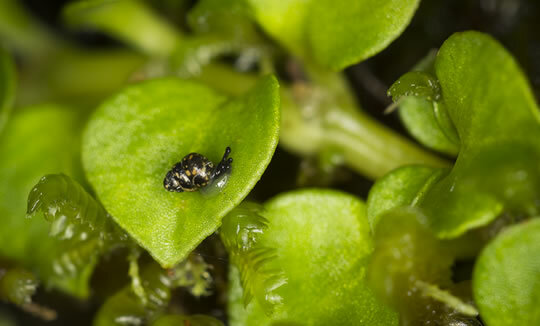 Monitoring populations of rare and cryptic species can be difficult and labor intensive. However, surveys are imperative to be able to detect declines and act in time. Extinction is not something of ancient history conjuring up dinosaurs and Dodos. 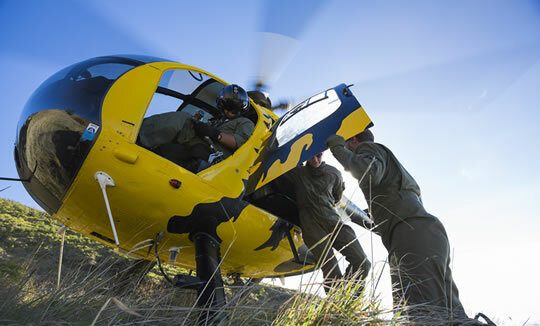 In Hawai’i some recovery actions have come up too little and too late. 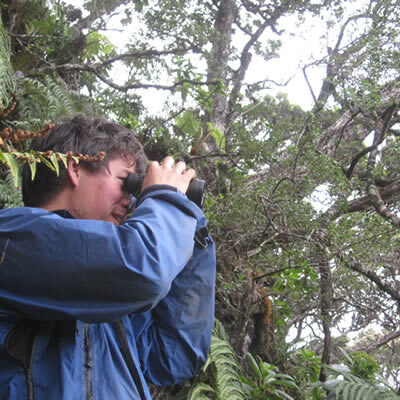 Maui Forest Bird Recovery Project (MFBRP) is driven by science and dedicated to the conservation of Hawaiʻi’s native forest ecosystems. 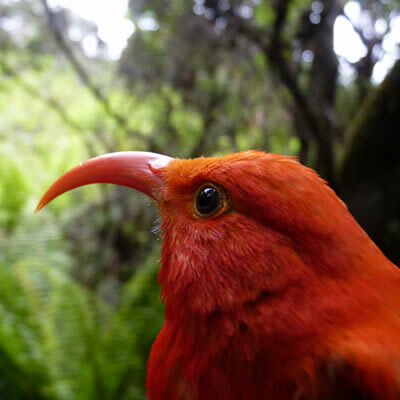 Formed in 1997, our mission is to develop and implement techniques that recover Maui’s endangered forest birds and to restore their habitats through research, development, and application of conservation techniques. 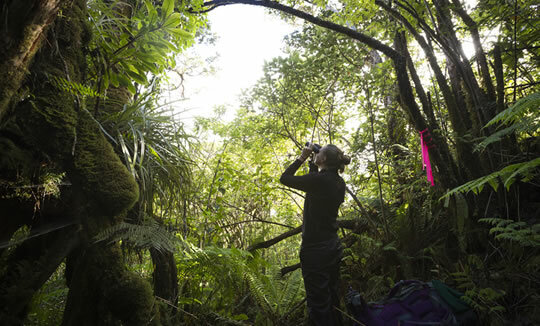 We employ conventional mist-netting, banding, and survey techniques to monitor wild forest bird populations; study breeding success in the wild and monitor bird food resources and prevalence of avian diseases; develop and apply novel recovery initiatives for species of concern; aim to effectively manage and reduce the impact of non-native invasive species; and conduct research to investigate the effectiveness of our control methods and formulate this knowledge into long-term management strategies. 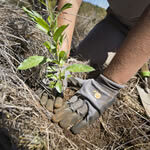 MFBRP was formed by the State of Hawaiʻi Division of Forestry and Wildlife (DOFAW) and the U.S. Fish and Wildlife Service (USFWS). Our efforts are funded and guided by these agencies to accomplish state and federal recovery actions. 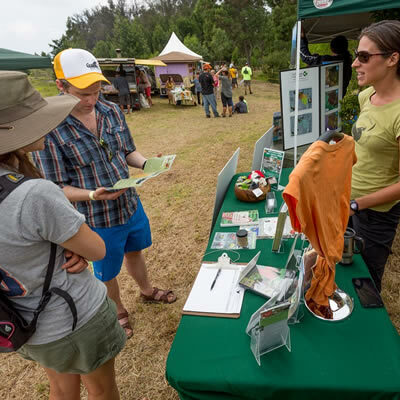 MFBRP operates as a project under the Pacific Cooperative Studies Unit of the University of Hawaiʻi at Mānoa, Nā Koa Manu Conservation, Inc., and Tri-Isle RC&D Council, Inc. This is an outstanding group of people! They are articulate and thorough thru-out.